Fenway Health Awarded $150K Grant From Mass League & GE Foundation | Fenway Health: Health Care Is A Right, Not A Privilege. Fenway Health Awarded $150K Grant From Mass League & GE Foundation | Fenway Health: Health Care Is A Right, Not A Privilege. 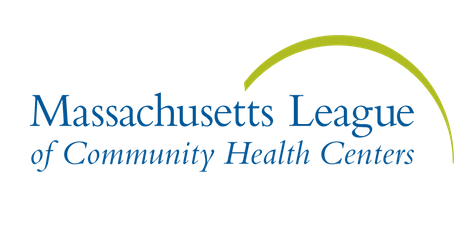 Fenway Health Awarded $150K Grant From Mass League & GE Foundation – Fenway Health: Health Care Is A Right, Not A Privilege. Fenway Health is excited to announce that we have been selected as a recipient of the Mass League of Community Health Centers’ GE Foundation SUSTAIN Communities grant. This initiative is designed to develop and expand the capacity of community health centers to address opioid use disorders (OUD). The SUSTAIN Communities grant will award $150,000 across a two-year grant period to each recipient. The overarching goals of the SUSTAIN grants are to increase access to and engagement in care and foster the development of recovery-informed environments for patients experiencing an OUD. SUSTAIN participants have access to a variety of grant support provided by the League, League-contracted Physician Peer Mentors, Boston Medical Center Office Based Addiction Treatment Training and Technical Assistance, including Project ECHO®, a virtual tele-mentoring model, and risk rounds development support provided by MGH/Partners. Research has shown increased confidence in addressing OUD at health centers, as well as increased reports of utilizing motivational interviewing and trauma-informed approaches to care. Other recipients of this grant include Caring Health Center, Charles River Community Health, CHC of Cape Cod, Edward M. Kennedy CHC, and Mattapan Community Health Center. Grant recipients were selected based on their ability to target racial, ethnic, and LGBTQ minority communities and the need for support to bolster new and/or expanding OUD related services.